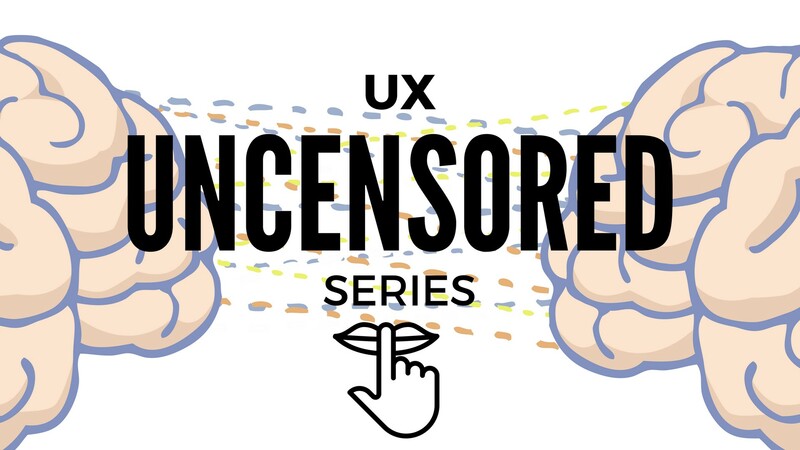 UX Uncensored is a series of blog posts published by NomNom in partnership with Designer Hangout, a Slack community with over 9,000 product and UX people. We asked the UX community to share their secrets and learnings completely anonymously. In five open ended questions, we explore war stories, industry misconceptions, and practical advice. In the first post of the series, we uncovered what advice the UX community would give themselves five years ago based on what they know today. In the second, we dived into how they’d spend their ideal budget if money wasn’t an issue. We learned that a lack of budget is perceived as a barrier for deeper, more contextual user interviews. We also explored the idea of leveraging future technology for deeper insights without spending more cash. In part two, we learned UX practitioners would like to get their teams more involved in the research process. For part three, we explore why team involvement has a positive impact on research efforts. Then we got down to business, gathering a slew of participants’ tricks for getting stakeholders engaged. Read on for more. What’s your most effective trick or technique for getting your team engaged with user research activities and outcomes? Practicing empathy is crucial for building products that people need. To immerse yourself in your customers’ problems, you have to listen, observe, and report. The responsibility of being empathetic doesn’t lie solely on the design and UX teams. It’s a company-wide responsibility for each person to put themselves in their customers’ shoes. “Often times it takes a talk where I get on their [team members’] level, create an imaginary scenario they can relate to and explain the possible work that goes into helping them solve their problems.” — UX/UI Designer — 500+ person org recently acquired by IBM. In the following sections, we uncover the why behind each tip, as well as different approaches UX practitioners take to get their stakeholders more involved in the research process. Bringing team members or clients along to research sessions is the best way to build empathy and buy-in. When team members contribute questions, witness user interactions with the product, and brainstorm solutions, they get excited about solving the problems they witness first-hand. The community elaborates on the why and explains the how to get them there below. “Including engineers on user feedback calls (or better yet, having them conduct the calls).” — Senior UX Designer — 200+ person org. “Involving the members of the team in the parts of research that is most valuable for them.” — Head of Product Design — 130 person org. “Persuade them to observe, especially for users with a disability or using assistive technology.” — Product Strategy and Digital Inclusion Manager — 1,500 person org. “They listened in to several interviews when we did them in the room on the phone, then helped create a persona with sticky notes. We had a “decider” from the business side who put a dot on the stickies that best described the traits of the persona, those were used in the final write up.” — Lead User Experience Designer — 200 person org. “Coaxing them into helping bit by bit helps though. For example, asking them to just view a recorded user session, then later inviting them to simply sit in on one, then sometime later asking them to ask a few simple questions in another…” — UX Design Lead — 40+ person org. “Make them think it’s their insight or idea. Essentially, present the facts and findings from the research. Involve them along the way during fieldwork — so that they can probe and ask their questions during research, rather than doubting the research and findings at its conclusion.” — UX researcher — 200+ person org. “The JTDB (jobs to be done) framework has been a huge hit within my team. Contrary to personas, people got more interested in this approach and many folks interviewed users for the first time. They felt it was more useful than building personas. — UX Designer — 400k person org, 50 person team. Participants said that it’s best to get stakeholders involved in the entire process, from planning through execution. “Sketching exercises, collaborative idea brainstorming with writing exercises.” — Lead UX Designer — 5,000 person org. “I get them to make wireframes.” — Junior Digital Media Producer — 72 person org. “Karaoke. 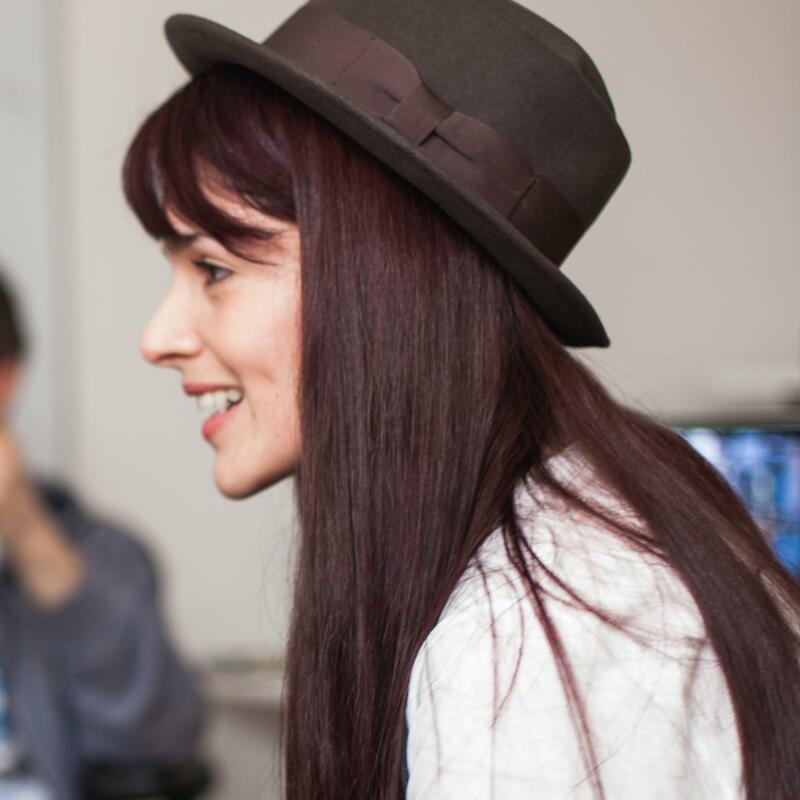 Our designers tend to be introverts, uncomfortable with interacting with others. So we practice over songs and drinks.” — Manager of UX, 8 person org. If you can’t get your team members to join sessions, make sure they receive and digest the most important findings from your research. No one likes a boring powerpoint. Getting your team interested in research results requires some creativity and coaxing. Check out the community’s favorite approaches for sharing research findings below. “Show them videos of people struggling with their product!” — UX practitioner — 350 team or 22k org. “A video of people using software always peaks interest and breaks people out of their assumptions.” — Director of UX — 3 designer org. “Using lookback.io to share videos of users having specific problems with a design. It’s hard to empathise when you don’t actually see the user having trouble.” — Product Designer — 360 person org. “Making short videos (10sec or so) of interesting moments from usability tests or interviews.” — Director of User Experience — 40 person org. “Changing the name. Instead of user research, I would rather use the term customer meeting, customer interviews, etc. so that others won’t freak out. I also share what I learned with maximum number of people after each session.” — User Experience Designer — 80 person org. “Simply making sure we teach them something useful every time we come back from a field visit. They believe that they are learning through our research.” — Director of UX and Product Design — 2,000+ person org. If you’re effective in sharing valuable insights for your team, you’re also more likely to get them to join in on research sessions. “Synthesizing research results and then presenting the methodology used and the themes uncovered for anyone interested in attending a formal meeting. It’s also helpful to communicate that all the data is available in a shared space (even if no one follows up to reference it, the storyline emphasizes inclusion and openness).” — Senior UX Designer — 60 person org. When talking with your team, especially the organization’s key decision makers, it’s crucial to lead with the value your research adds to the business from a financial and mission perspective. It’s especially important to demonstrate the return on their invested time in the process. The more direct correlation you can show between increased team involvement and product adoption, the more buy-in you’ll get from leadership. This typically leads to more time to conduct the tests as you see fit and more budget allocated to research. We asked the community: What’s your most effective trick or technique for getting your team engaged with user research activities and outcomes? “Talking about research as a learning opportunity to team members. Talking about research as a way to set ROI metrics for stakeholders.” — Design Director — 200 person org. “Doing it without permission and then showing the value. — User Experience Architect — 300 person org. “Frame it in a way of, ‘We’re not looking to uncover what to build, but more around how it should work.’ That get’s them over the hump of us talking to users, while we’re still uncovering pain points that may have not been addressed.” — UX Lead — 5,000 person org. “Showing where it made a big different in a project we have worked on recently.” — UX Designer — 30k person org. “Show how it will save budget and time in the end when we spend some resources on user research/testing.” — UX Designer — 15 person org. “Adding a dollar amount gained or lost to any user research activity or outcome. Providing metrics and pain points that even CEOs can empathize with.” — Product Manager — small non-profit company. “Showing real opportunities missed usually linking to profit and what competitors are doing better.” — Freelance UX Designer. “I’ve found that showcasing case studies of failures where the product designers ignored real customers is an effective technique.” — Product Coordinator — 200 person org. In short, more team engagement in the research process means better understanding of customers’ problems, which leads to more successful products and increased profits. That’s over-simplifying it a bit but it’s a high-level look at why team involvement is so important. Though the struggle can be real with getting people to take time out of their busy days to join you on sessions or hear your findings, it’s possible. Put your most creative sales hat and let the data and past successes tell the story they need to hear. Record everything, draw the most impactful insights from every interview, and communicate with your team constantly. Sofia Quintero / Founder and CEO NomNom Insights. Former Head of Growth at Geckoboard. Follow on Twitter.